Planning a direct mail marketing campaign to get your message across is an extremely important part of successful election campaigns. With other marketing channels, such as websites or online advertisements, allowing for updates and changes to content, a direct mail campaign onfly has one chance to deliver a message successfully. Direct mail for political communications continues to be utilised as it is still considered a successful strategy in addition to more modern forms of communication. The right message sent to the correct demographic can be an important tool to reach out to voters. We have experience in developing Postal Voting Packs that are proven to increase the engagement and response from your targeted voters. Our postal voting printing and design services give you the chance to customise your direct mail marketing literature to your exact needs. Mailing Expert has an in-house design team to assist in the preparation stages of leaflet mock-ups and can work alongside you to take an initial idea from planning to printing stage. Our approach to direct mail marketing services assists your department in the planning of a successful direct mail campaign. Our experienced team work alongside busy council departments and can offer full-service design, print, and distribution to help local authorities and councils communicate using direct mail. Data Cleansing Services – Screen your data to reduce costs and keep an up-to-date database. Mail Response Management – Implement response management into your direct mail marketing campaign to answer queries from the recipients of your postal campaign. 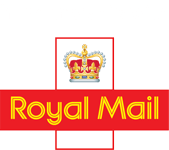 Postage Discounts – Mailing Expert can advise on the most appropriate postage options and reduce costs with discounted mail fulfilment. Personalised direct mail literature – Send the right message with personalised mail design services. Strategic Planning. Begin by understanding the message you want to send and to whom. Targeted mail services. Segment the voters in your database to send specific niche messages for increased engagement. Multi-media. Support your direct mail campaign with other multimedia channels. Mail type. Direct mail can be used to collect registrations, postal votes, as well as deliver information about the election. Our mailing service for local authorities sees us assist in the development of a variety of direct mail campaigns. We provide local council newsletter printing, council bill distribution, and other bulk printed mail services. Here at Mailing Expert, our fantastic team approach each project with a flexible approach and tailor each campaign specifically to suit the requirements of your busy department. Our team provide expert guidance on distribution and mailing options to ensure your campaign is the most cost-effective. Find out more information about our direct mailing services for local authorities, political parties, and councils.